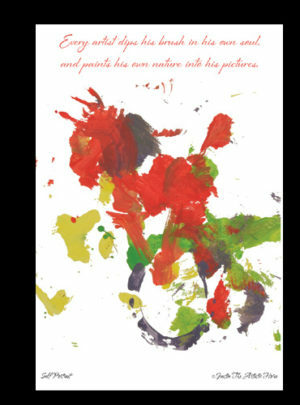 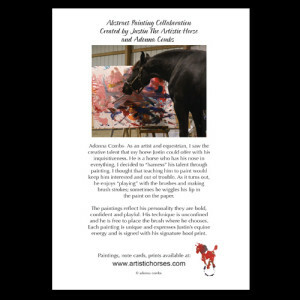 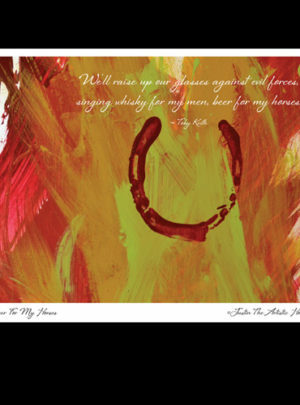 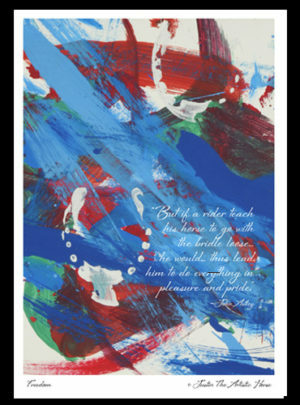 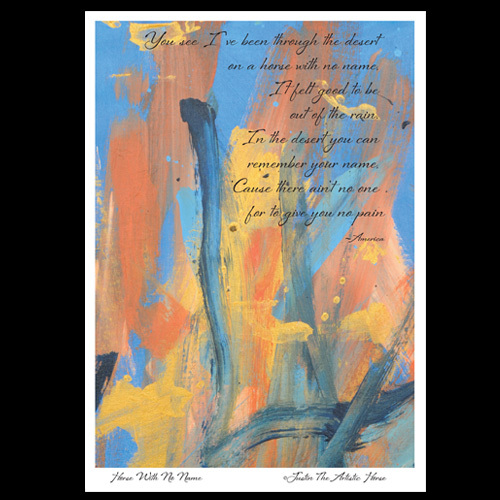 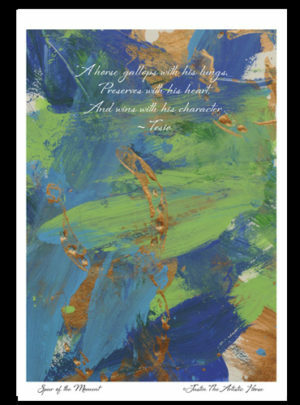 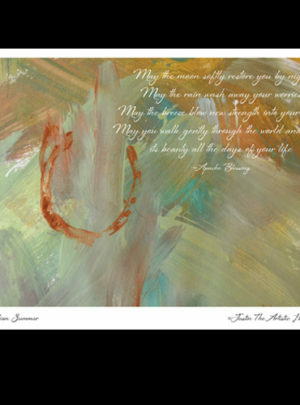 Our colorful note cards are reproductions of Justin The Artistic Horse’s famous “Unbridled” abstract expressionistic paintings. 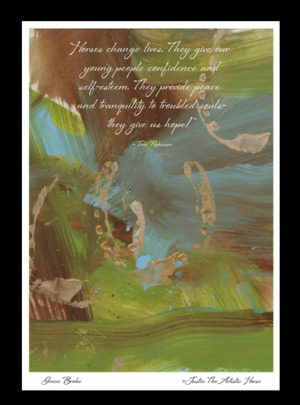 They have an inspiring message that will touch you heart. 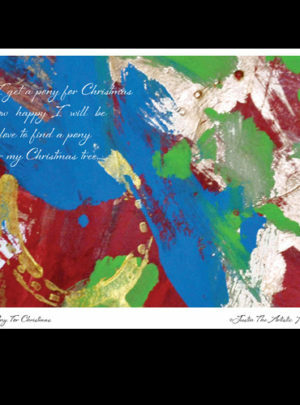 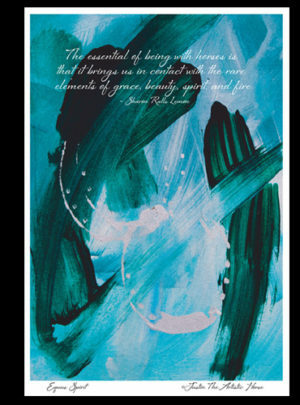 Each card is packaged in a clear protective envelope that works well for retail sales or gift giving.